Hubwoo is an eProcurement system supporting Punchout, Electronic PO and Invoicing. Greenwing Technology Punchout Catalogs natively support all Hubwoo cXML interfaces. If you are a supplier or have suppliers in need of a Hubwoo Punchout Catalog contact Greenwing Technology at 1-877-415-3237 to discuss options for connecting to your suppliers to the Hubwoo eProcurement platform. Get the book that all our customers get! 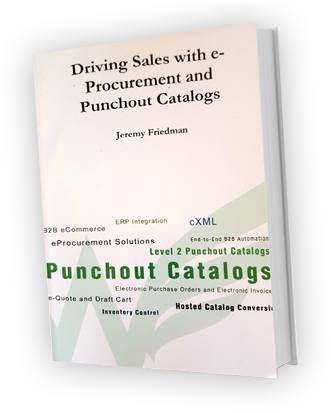 Unlock the secrets to punchout catalogs and e-Procurement.